A walk into the lavender field. We see a beautiful image of a young lady wearing a white dress with spaghetti straps completed with a white Panama hat and silver heeled sandals. 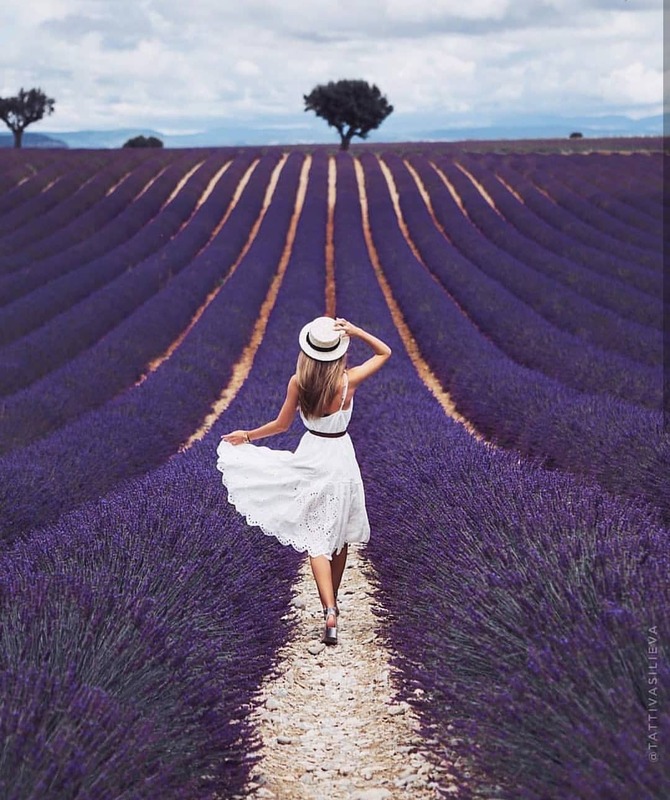 She steps in a lavender field. Hello fashion readers! How are you today? Fine? Looking for new inspiration? I’ve got some! This time I want you to look through these must-have pieces for a perfect bohemian look. I know, there are thousands of boho-chic pieces to try, but I decided to show you only the best and functional that will easily underline your uniqueness and show-off your boho spirit. This style is ideal for summer day and nightwear. If you want to find an ultimate wardrobe that will make you look special and aspiring, then you better look through these street style images and see how ladies combine various boho style pieces with their everyday outfits. Read on and let me know your thoughts in the comments below.